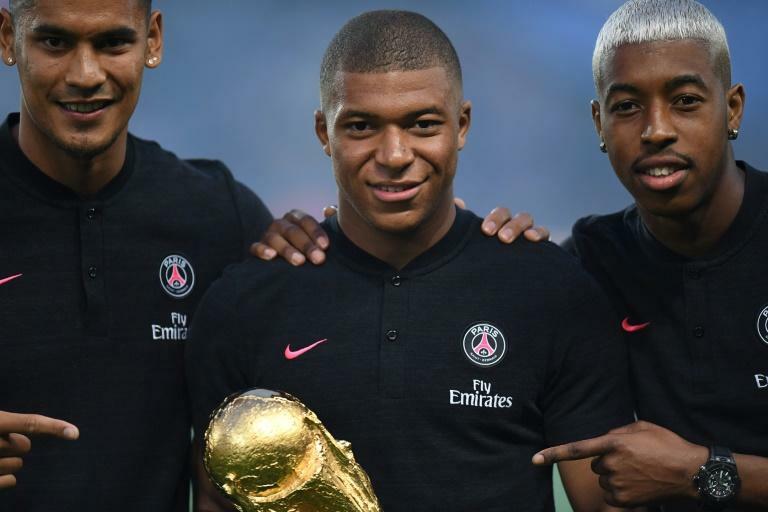 World Cup winner Kylian Mbappe has been named in Paris Saint-Germain's squad for the first time this season as the French champions go to Guingamp in Ligue 1 on Saturday. Mbappe did not play in their league opener, a 3-0 win over Caen last weekend, having only returned to training a few days earlier following a post-World Cup holiday. The 19-year-old, who scored one of France's goals in their 4-2 win over Croatia in last month's final in Moscow, will hope to feature alongside Neymar in the PSG attack in Brittany. However, Edinson Cavani is again missing as he continues his recovery from a calf injury suffered during Uruguay's run to the quarter-finals in Russia. Also named in PSG's squad is Thilo Kehrer, the Germany under-21 defender who completed a reported 37 million-euro ($42.3 million) move to the French capital from Schalke on Thursday, signing a five-year deal. Kehrer will hope to quickly break into Thomas Tuchel's side, but the German coach has left his compatriots Kevin Trapp and Julian Draxler out of his squad for the game.